If you are a certified financial wealth planner is it a daily practice to talk about estate planning including power of attorney designations while discussing financial planning with young, middle-aged, senior, or elderly clients? Do you hesitate to have this discussion because estate planning, elder care planning, care advocacy, and estimating costs of care are unfamiliar territory? Certified financial wealth planners who have limited life experience with the role of care advocacy, care planning for elderly parents, costs of elder care, or death may feel that talking about power of attorney and estate planning is beyond their comfort zone or may feel unqualified to have the discussion at all. 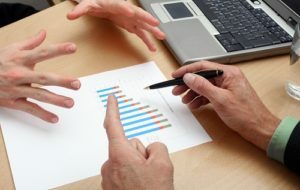 Discussions about financial planning must be linked with power of attorney planning. Planning for eventual costs of care or potential disability will avoid surprises when financial resources are required to fund these expenses. If the client cannot manage their own finances, the power of attorney will step in to assist. How Does Health Affect Financial and Estate Planning? The “elephant in the room” is the certified financial wealth planner’s responsibility and comfort level to initiate discussions about health. Well-being may appear to be an area on the periphery of financial planning. 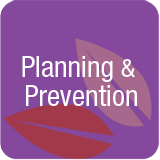 Care advocacy and power of attorney planning are critical components of planning for the future. Health, both physical and emotional, are significant predictors of financial resources needed for healthcare and related care expenses as we age and retire. The desires of elderly clients related to how and where they desire to receive care should be honored. The desire to avoid nursing homes is mentioned by many of my older clients. Proactive discussions about planning for the future are the best approach to this uncomfortable subject. Few individuals want to talk about mortality. Younger adults planning for care may be more open to the conversations. With aging parents who may deny or refuse the need to plan for care, conversation openers ease the subject. Planning for family and leaving a legacy may be a better and more acceptable approach to introduce the topic. Discussions about parents or grandparents and their planning—or lack of planning—may be another conversation opener. Few individuals hope to be a burden on family members. Many simply fail to plan, or plan to act tomorrow. Planning for tomorrow is too late after a health event occurs that eliminates options. Discussions about the possibility of early disability as the result of diagnosed chronic health conditions are practical discussions that are easier to have when healthy. Making thoughtful and rational decisions seems easier when we are not pressured to make decisions precipitated by an emergency situation. Individuals who have not yet completed power of attorney documents may be at risk. The benefits of long-term care insurance, when related to costs of care for day care, in-home care, assisted living, nursing home, and memory care, may be easier to rationalize from a long-term financial planning perspective. Unlike automobile insurance, which we never hope to use, the likelihood of using long-term care insurance is greater due to the complexities and complications of health. Purchasing long-term care insurance may be advantageous depending on the age and health of the applicant. Not all qualify and some are approved but rated for pre-existing conditions. The financial ability to privately fund care expenses is another consideration that may then lead to a later discussion about Medicaid planning. How does health affect financial planning and estate planning? Consulting a caregiving advocate may be beneficial in responding to this question. Experts in these areas who have served as professional fiduciaries are able to offer significant insight into the ability to implement financial or estate plans. They are also able to comment on plans that were derailed by unexpected complications. These experts have years of experience as court-appointed guardians, conservators, medical or financial power of attorney, trustee, personal representative, or care manager. Many have worked with certified financial planners, estate, elder law, probate attorneys and the healthcare industry. One in four Americans is diagnosed with multiple chronic conditions, those that last one or more years, require ongoing medical attention, or limit activities of daily living. (1) The number rises to 3 in 4, or 75%, of Americans aged 65 and older. (2) Examples of chronic conditions, are high blood pressure, arthritis and orthopedic conditions, stroke, cancer, diabetes, and pulmonary or breathing concerns. A significant portion of individuals have yet to complete their power of attorney documents. Less well known, is that many chronic conditions like diabetes and cardiac concerns, like high blood pressure, lead to a diagnosis of memory loss. While financial planners may not be able to identify signs of early memory loss, care advocates are able to identify questionable concerns in a single visit with a client. Early memory loss, often called mild cognitive impairment, is indicative of a high probability of being diagnosed with dementia or Alzheimer’s disease, making financial and estate planning all the more important. Cognitive impairment effects the ability to create and understand financial and estate plans and interferes with other daily activities.Unless power of attorney documents are completed early in the diagnosis, guardianship and conservatorship may be the only option. The statistics for diagnosis of memory loss are staggering. In 2018, the number of Americans diagnosed with Alzheimer’s disease is 5.7 million. By 2050, the number diagnosed will increase to 13.8 million. Alzheimer’s disease is the 6th leading cause of death (3) Not all physicians are well-versed in diagnosing memory loss. If patients do not ask, physicians often do not initiate conversations. This lack of discussion prohibits individuals to plan personally, financially, and legally for future care needs. Estate planning involves creating documents: trusts, medical and financial power of attorney, living wills, and wills. These documents represent another intersection between financial planning and estate planning. Financial power of attorney documents created by estate planning, elder law, and probate attorneys are more frequently denied as valid by local banks. In my role as financial power of attorney, bankers expressed concern that anyone walking in with a financial power of attorney drafted by an attorney or downloaded from the Internet, had the ability to significantly rob the savings of seniors or the elderly. Bank concerns relate to the history of financial abuse by family members and trusted friends. Requiring signatures and notary on a second document reduces the likelihood of financial institutions being held liable for mal-intended individuals. Initiating these documents well before the need for financial assistance is best. Individuals serving as medical power of attorney have a duty to serve as a care advocate for the client or to retain a professional caregiving advocate or elder care consultant. At the time an individual needs care, discussions with the certified financial wealth planner must occur to project costs of annual care. Ongoing communication then occurs between the financial power of attorney, the medical power of attorney, and the financial wealth planner about any changes in the plan or costs of care. Funding can then be made available to minimize tax consequences. Conversations regarding the appropriate individual to serve as a legally responsible party should also occur. Appointing family members or adult children are not the best choice. Appointing a professional fiduciary to serve in the role of trustee, guardian, conservator, medical or financial power of attorney, or personal representative may be the better course of action to avoid family disagreements. Professionals will ensure that the wishes described in the documents are implemented even at the opposition of family members. Seniors and their adult children are often shocked about the high costs of senior and elder care. 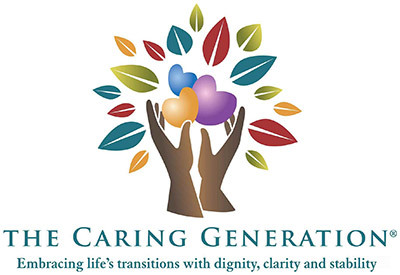 In-home care services, depending on the type of care and the state where services are provided, average $30+ per hour. Assisted living communities at the lower end of rates begin at $4,000 per month with memory care and nursing homes averaging $7-9,000 per month. With costs increasing at an average of 6% per year, it is difficult for the return on some financial investments to compete with the increases in costs of care. Aging and being unhealthy is expensive. Most long-term care insurance policies have riders for inflation protection that incorporate the factor of annual costs increases. Admittedly, not all individuals are able to qualify or fund a policy. This is the time to have discussions about eventual planning for Medicaid. Consulting with estate planning, elder law, and probate attorneys are important when Medicaid planning is a consideration. Many individuals desire to create financial plans that address charitable giving, creating family trusts, funding education, or ensuring that family members or friends receive an inheritance. When discussions are about immediate family members or others who may contest wishes are not held at the time plans are created, the potential for estate or will contests escalates. Well-meaning individuals wishing to give money to charity, rather than family, later have their will questioned specific to mental or testamentary capacity. I have been involved in will contests by adult children and distant family member who were more interested in receiving an inheritance than in the wishes created in a will. At the time of estate administration, the real character of family members emerges and is not always pleasant. Legal fees to contest documents have the potential to diminish the value of the estate as the result of assuaging years of family disagreements or injured feelings. When creating financial plans, it is important to combine estate planning and care advocacy. Consulting an elder care or care advocate may be beneficial to request a review of estate and financial plans to identify unknown or unexpected aspects of implementing the plans. As is often said with care advocacy, “it takes a village” to support our seniors and elders to receive care that meets higher standards while supporting dignity and compassion. 1. Multiple Chronic Conditions—A Strategic Framework: Optimum Health and Quality of Life for Individuals with Multiple Chronic Conditions. [PDF – 234.43 KB] Washington, DC: US Dept. of Health and Human Services; 2010. Accessed November 18, 2014. 2. Gerteis J, Izrael D, Deitz D, LeRoy L, Ricciardi R, Miller T, Basu J. Multiple Chronic Conditions Chartbook. [PDF – 10.62 MB] AHRQ Publications No, Q14-0038. Rockville, MD: Agency for Healthcare Research and Quality; 2014. Accessed November 18, 2014. 3. Alzheimer’s Association Report, “2018 Alzheimer’s Disease Facts and Figures,” Alzheimer’s & Dementia, 14 (2018) 367-429.